Okay, so everyone is talking about, cheering about, cursing about, and analyzing Friday’s ruling by Magistrate Judge Charles Eick after the hearing to determine Axanar‘s motion to compel discovery from the studios. Rather than summarize exactly what just happened, I am going to humbly direct you to the blog website of my delightful counterpart over on the other side of the Internet fence, Janet Gershen-Siegel. Unlike me, the Boston-based Janet actually went to law school, graduated, and practiced insurance defense law for a few years back in the 1990s. She’s been analyzing and writing about the Axanar lawsuit in painstaking detail almost since it was filed. And while we all have our little biases (yes, even me! ), Janet’s meticulous reviews are sprinkled with a generous helping of comedic flairs to be very accessible for the lay-person. And when I say I do my research before writing these blogs, hers is one of my never-miss sources of information and insight. So instead of reinventing the wheel, I’m going to send those of you who are curious over there to Janet’s blog to read more about what the judge actually ordered the studios to do…and then come back here for the follow-up. What I’m going to talk about is how the defense is planning to use all of this newfound “bounty” (an amazing amount of new discovery documentation and verbal/written answers to defense questions ordered by the court) to try to win their case…or at worst, not lose too badly. Before I begin, though, after my Friday blog, I received a number of questions from people through comments and e-mails. The first question was the most prolific: Is this a typical outcome for a Motion to Compel Discovery filing? Does the judge usually rule in favor of the party making the motion or is an outcome like this more rare? There’s no typical outcome. It all depends on which side the judge thinks is being a prick in the way they wrote their filings. Sometimes I get everything I want, other times I don’t. But I’m not surprised by this ruling. Both sides rolled the dice. The defense went after way too much, hoping that by asking for a mountain, they’d at least get a mole hill. The plaintiffs took a chance that they could weasel out of having to produce most of what the defense was asking for. It was worth a shot, and some judges might have let them get away with some or most of what they wanted to withhold. But other judges will rule the other way, and as I said, I’m not surprised by this outcome. I doubt the plaintiffs’ lawyers are all that surprised either. Disappointed, maybe. But they had to know this was a big gamble to begin with. Imagine that the defense had previously asked the plaintiffs for 100 marbles and got, say, 3 marbles (which is kinda what happened–most of what the plaintiffs have provided to the defense so far was, reportedly, highly redacted and mostly useless). Now, admittedly, 100 marbles is a LOT to be asking for, but 3 is downright embarrassing. So had the defense come out of Friday’s hearing with even just 3 more marbles, it would have been a win (they would have doubled their marble count). Even 1 marble would have been more than they had before…and a win is a win, right? But the judge has just given the defense about 85 marbles. The ones they didn’t get (Star Trek financials dating back to 1966 and the infamous Star WARS fan film records of contact) were always pie in the sky to begin with. They were easily-sacrificed pieces on the chessboard that allowed other pieces to remain actively in play. And the plan worked. What the defense lost was peanuts compared to what they got. What they got could actually make this case winnable…or at least not horrifically lose-able. So let’s get down to the nitty gritty: how will the defense either win this case or, at worst, lose it with minimal damages…and how will these new discovery documents help? The defense wins if they can convince the jury this was some kind of “fair use.” Period. But fair use is a challenging and elusive beast to capture! It’s not easy to prove fair use (see this short article from the U.S. copyright office); if it were, there would be a LOT more copyright infringement in this country! You can read the above article to learn more about the four different elements of fair use: purpose and character, nature, amount and substantiality, and effect on the potential market. But by far, the most important of these four elements to consider–says the Supreme Court–is the final one, the potential financial damages the infringing work presents to the original copyrighted work. And this harm isn’t limited only to what happened before the case was filed. The infringed party can also claim future losses. 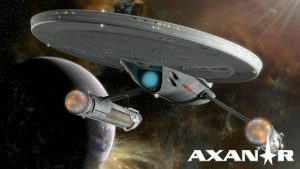 In other words, while the feature-length file Axanar might not be made yet, if it does get made, it could have a financial impact on the market for Star Trek or derivative Star Trek works that come late. A good and potentially realistic example is the “other” discovery, the new streaming TV series Star Trek: Discovery, which is purported set at about the same time period in Trek lore as Axanar and Prelude. So if fans see those two films and they’re really, really good, maybe they won’t feel the need to shell out six bucks a month to watch the new Trek TV series, costing the studios money in the future. I’m guessing this will be brought up by the plaintiffs during trial. So the defense needs to counter the plaintiffs and try to show that there wasn’t any financial damage or, if there was, the damage was minimal. How might any of this new discovery (and Discovery!) documentation from the studios help the defense prove their point? All Documents that refer or relate to the commercial impact, if any, that the promotion, production, or release of fan films, including but not limited to fan films inspired by Star Trek, has had or might have on the value of the works from which the fan films are inspired, including but not limited to the Star Trek Copyrighted Works. All Documents and Communications demonstrating how the market for [the studios’] business has been impacted by the Axanar Works. All Documents and Communications discussing the impact, or lack thereof, of the Axanar Works on [the studios’] business. In court last Friday, the magistrate judge seemed to be very aware of how damaging turning this information over could be to the plaintiffs. After all, this is their playbook. When they go to trial, they will attempt to prove financial harm. So the judge has just ordered the studios to explain exactly how they’re going to do that in court so the defense can prepare to counter it. But in law, that’s perfectly fair. In fact, judges don’t like it when unexpected, seemingly devastating evidence suddenly appears out of nowhere–mainly because it’s often grounds for appeal or a mistrial because such evidence should have been produced during discovery. So yes, CBS and Paramount, you have to share your playbook. But what’s potentially worse is if there ends up being something discussed in some e-mail where a studio executive muses that these fan films (especially Axanar) might not have much, if any, impact on the franchise at all. Even one stray comment could be a lifeline for the defense…and a prolonged discussion could be just what the holographic doctor ordered for Axanar. Identify and describe the harm or injury You claim to have suffered as a result of Defendants’ actions as alleged in the FAC [first amended complaint – Jon]. Identify and describe the damages that You seek for each cause of action asserted in the FAC, including by identifying and describing the method(s) used to compute these damages. So again, yes, the playbook must be shared. Why, oh why is everybody so obsessed with J.J. Abrams and Justin Lin and their public comments back in May??? After all, Prelude to Axanar was released two years before J.J. announced that the lawsuit was “going away,” and really, what does it even matter what he thinks? He doesn’t speak for the studios–he’s just some director they hired. Moreover, why worry about all of these other fan films that aren’t Axanar? Well, if you’ve read my earlier blogs on the subject, you know that the existence of other fan films and the studios permitting them to exist goes toward Alec Peters’ state of mind at the time he made Prelude, and it could prove the any infringement was non-willful (and therefore, MUCH less expensive when the verdict comes in). But right now, I’m not talking about that aspect of the defense. I’m talking about financial damages. Surely other fan films on YouTube like Renegades and Star Trek Contineus have nothing to do with financial harm coming from Prelude and Axanar on YouTube. Okay, guys, we’re far from done here. But folks have been complaining that I’m writing blogs that are too long. (Well, Alec has, at least.) So let’s stop here for today. Come back tomorrow for Part 2 where we ask, “What do other fan films got to do, got to do with it?” and look at the many faces of copyright infringement. It’s not just about willful versus non-willful…it’s also about damages/profits versus statues. Don’t worry–all will be explained with just enough humor thrown in to make it all vaguely interesting. Hey Moron- Do you realize you just confirmed for the Plaintiffs that it is indeed copyright infringement? Hey, Uranidiot…….you’re an idiot! You’re way into “saying ‘bomb’ on an airplane” territory with that……. Seeing how he’s not making the argument in a court, I fail to see how this applies. True…although I have (I found out on Friday) been listed as a potential witness. Loeb and Loeb Attorney Jonathan Zavin recognized my name when I introduced myself–and not just because his name is my name, too. That said, I am only being consulted as a fan film “expert witness” (if such a thing even exists) and likely as a “friend of Axanar.” Anything I say regarding Alec Peters’ state of mind when he made Axanar is pure conjecture and irrelevant to my field of “expertise.” It’s for Alec to say and prove what he was thinking. What if they ask you about things you’ve said in your blog alluding to you friendship with Alec as a source for what you’ve said. Granted Ranahan could say hear say, but this is a civil trial and the bar is a bit lower than in a criminal case. And what about all the people who support Axanar and hate JJ Abrams and Kevlin Verse and claim victory at having hurt Beyond at the box-office you don’t think that will be brought up? Personally I think the niche within in a niche fans who like fan films or in this case Independent Stat Trek films hurt Beyond. It was a great movie say it twice myself. In the end David Grossman said they would ask for statutory damages which nothing to do with actual damages, so asking for that information is kind of a waste and much ado about nothing. I’m not sure I understand how your first two questions are relevant to this case. I’m allowed to be friends with Alec. If I’m actually called to testify (which would be so cool! ), I would be identified as a friend of the defendant with an expertise in fan film history. Here is an interesting question. Exactly when did the studios develop the idea/concept for Discovery and how does that compare to the development time line for Axanar? Just curious if the idea for Discovery was a result of Prelude? And did the studio’s decision to move forward with Discovery force the battle while leaving the other fan films alone? Just some things rattling around in my dome. Look forward to your reply. There are things I am not supposed to know officially, so please take this with a huge grain of salt. No, the idea for “Discovery” came BEFORE the release of “Prelude to Axanar”…at least if we’re talking about the mind of Bryan Fuller. That said, the pitch to CBS of Bryan Fuller’s idea for a new series came AFTER the release of “Prelude to Axanar.” You can then draw your own conclusions from there…as my own information from that point on is merely conjecture. Nice to see you visiting this corner of the Internet. Keep up the great work on your end, Janet. Between the two of us, we’ll educate the masses and bring this lawsuit to its knees! Here’s the problem, and the real crux of the suit: Peters et al used the Star Trek name and ip to finance a future money making studio. Right there should be the end of it. 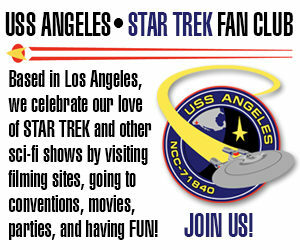 Then giving perks with Trek trademarked images on them adds to the thing. He’s deluding himself if he thinks that just the Prelude and subsequent fan film were CBS/Paramounts problem. Someone hasn’t been doing their reading, Vito. I know I write a LOT, but it’s all there if you want to learn more about it. Otherwise, I suspect you may be very surprised by what happens next. Not the best outcome, but definitely something good! And yes, I know we’re a LONG way from a final ruling, but anything in Axanar’s favor is, IMHO, very good…not only for them, but for fan films in general! And, let’s be fair here…CBS/Paramount stand to gain from this, as well. Hopefully, to establish what things (props, costumes, etc) fan films, in general, may or may not use that’s just and fair for “both parties” involved (in this case, Axanar and CBS/Paramount). I’d also like to point out that Jon van Citters did mention that fan film makers can make their own props and costumes, if they wish, thereby leaving an “out” (so to speak) if any problems arise between the studio and some future fan film maker. I do have one question, though (and my apologies if this was addressed already, as I can’t seem to locate any pertinent info regarding this)…if a fan film maker wants to make an animated film, now that the “guidelines” are somewhat established (such as Star Trek, Specter, ST2, Retribution, and ST3, Redemption, for example), where does this type of fan film fall in this? Would the maker(s) be exempt from the “guidelines”, as written, or would they have to abide by them, again, as written? Although the guidelines don’t specifically say they include animated and machinima films, neither are they specifically excluded. Obviously, things like props and costumes aren’t an issue, but many of the other guidelines, it would seem, would still be in place. In other words, an epic like the Spectre/Retribution/Redemption series might be a thing of the past, Doug. Question from a non-legal person. You mentioned that judges don’t like to have mistrials or appeals. If too many of these happen, can it reflect back negatively on the judge? Or besides wanting to have the issue resolved is there another reasons judges don’t like mistrials/appeals? I checked with one of my legal eagles, and they said that appeals tend to happen often for all sorts of reasons. Mistrials are much less frequent and quite rare. Most judges just hate cluttering up the already-crowded court system if they can avoid it. But no, too many appeals or mistrials do not typically reflect badly on judges. In fact, most judges have very little oversight…except when it comes time to be reelected or appointed. Today was a good day for the fans. But what will this mean for the idiotic guidelines? Man, that is a question and a half! Likely nothing. But if this case goes the way I think it will, the result could embolden some fan series like STC to keep pushing the envelope. And it’s possible the studios will quickly launch another huge lawsuit to quickly reestablish that they are not kidding around. But we’ll see. Failure to turn over documentation and answers after receiving a court order can result in sanctions or even full dismissal of the case. The time for tricks is past, Not Herbert. Here’s the facts as plainly as I can say them: if the plaintiffs had wanted anything else from Alec Peters ,they would have put their request into the Joint Stipulation Motion to Compel Discovery. You’ll notice there was no such request in there. (Go look; I’ll wait.) That document was the ONE chance for the plaintiffs to tell the judge, “Hey, Alec Peters still owes us some goddamn e-mails!” The studio attorneys did not do anything of the kind, did they? Nor did the attorneys request that the judge compel any additional e-mails or documentation from Alec or Ares or Axanar during Friday’s hearing. Trust me, I would have remembered if Jonathan Zavin (Loeb lead attorney) had asked for that. He didn’t. But hey, you don’t have to take my word for it. As soon as the court transcript comes in, you’ll see that no request was made of the judge to compel any additional discovery documentation from Alec Peters, nor was any order given in the ruling. If Alec missed delivering a single e-mail to CBS, well, it didn’t seem to bother the plaintiffs enough to make a big deal of it. By the way, I’ve been asked about this ridiculous rumor for the past two days by half a dozen people. Doesn’t anybody bother reading 60-page Joint Stipulation documents anymore??? But seriously, to me the REAL big story here is asking where Carlos Pedraza is getting his inside information from. There were EIGHT people in that courtroom on Friday: me, Erin Rahanan and Kelly Oki from Winston & Strawn, Jonathan Zavin and David Grossman from Loeb & Loeb, the judge, the clerk, and the court stenographer. I’m pretty sure the last three didn’t run and tell Carlos what was said during the hearing. I know that I didn’t tell him. I’m pretty sure Erin and Kelly didn’t tell him because, honestly, they don’t even tell ME jack shat! (And trust me, I’ve been trying!!!) So that leaves the Loeb & Loeb attorneys. I’m not sure which of them (or both) is feeding Carlos information about the case to disseminate to the masses, but the reason why is obvious: the studios need to find a way to drum up some support and sympathy from the fans. Carlos is a PR vehicle for them. And that’s fine, by the way. Just admit it, dude. I admit I support Axanar. I know Carlos enjoys calling me the “Axanar surrogate”–and please excuse the self-indulgent “I-know-you-are-but-what-am-I” retort–but really, Carlos, why don’t you just say you’re likewise acting as the studios’ surrogate and stop pretending we don’t all already know it? But seriously, no need to insult the Loeb & Loeb attorneys. They’re both nice, friendly people–Jonathan Zavin and David Grossman, and I enjoyed chatting with them before and (briefly) after the hearing. And they’re obviously quite smart–way smarter than I! But a lawyer’s gotta do what a lawyer’s gotta do. Both sides have tried to throw some fancy-footwork into the mix. Each side is taking some gambles. In the end, it won’t really matter much. It’ll all be up to the judge and jury. The rumour about the emails only came out AFTER the hearing so of course they couldn’t have been mentioned in the motion. It remains to be seen if they file a request or if they just use evidence of this to discredit the defence at trial. Both options are impossible, Sandy. The studios’ one chance to make a motion for Alec to submit more e-mails was the document submitted jointly on September 29. The plaintiffs don’t get to keep going back to the well on this one. They had their chance and didn’t use it. And at this point, the judge stops the line of questioning and asks how it is relevant to the case. Sandy, you really aren’t going to want to watch the real trial. The one in your imagination is going to be SO much more enjoyable for you. The thing is Jonny is that the Plaintiffs apparently already have the emails from another source. They don’t actually need them. What they do have are emails Alec should have turned over but didn’t. This makes him look like an unreliable witness at best and will surely colour any jury decision. As far as Carlos’ sources go, I can’t speak to that. I can think of at least two other ways he got his info other than what you mentioned. Also, why do you assume Carlos is my only source on this? He’s not. “(1) that the party having control over the evidence had an obligation to preserve it at the time it was destroyed; (2) that the records were destroyed ‘with a culpable state of mind’; and (3) that the evidence was ‘relevant’ to the party’s claim or defense such that a reasonable trier of fact could find that it would support that claim or defense. “Now, one would reasonably assume that Alec deleted these emails from the studios BEFORE he was sued. Why do I assume that? Because once he was sued, the studios should NOT be communicating with him directly for ANY REASON! All correspondence would go through counsel, and they would retain all records of any email sent. “So, at the time Alec deleted those emails, he had no reasonable expectation of being served and therefore no obligation to preserve the emails. There’s nothing the plaintiffs can reasonably bring up during trial to impugn Alec’s character or reputation in this regard. Any attempt to do so would certainly be met with a sustained objection that such a statement is prejudicial and irrelevant. After all, Alec is being sued for copyright infringement, not for failing to turn over emails. LegalEagle obviously does not take ANY shyt! …speaking of which: will the current legal team also be representing Alec / Axanar in the counter-suit? did Dante stipulate that special layer of hell (just for lawyers), or is that a more modern view? Winston & Strawn filed the counterclaim, so as of right now, they are the attorneys of record. Whether that will also be pro bono is unknown at this time (at least by me). Is this legal friend aware that the discovery of the emails didn’t come to light until after to Motion to Compel was filed? Shouldn’t the Defense have said that not all Alec’s emails were turned over because they were old and deleted. It just makes it seem somewhat disingenuous to complain that not everything was turned over. When your client failed to turn something over or to at least acknowledge things would be missing and why. You also have to wonder what else will come to light during Terry McIntosh’s deposition and he hands over 3 terabytes of emailed and other information pertaining to Axanar. What else will be discovered was failed to be turned over or even mentioned. So I’ve been politely told by LE that s/he’s pretty much done with this particular topic (lawyers are busy people). So I’ll have to take over and just share what I’ve already been told. Alec turned over all of his e-mails back in late August/early September. There were 31,000 pages of documents. And while that is certainly a lot to review, there is a presumption that, if the party who received the discovery documents actually gives a hoot, they’ll review them quickly. The Motion to Compel Joint Stipulation doc was submitted by the plaintiffs to the court on September 29. The gave the plaintiffs 4-5 weeks to review what Alec gave them. According to David Grossman’s statement in court, the reason that CBS knew an e-mail was missing is because they were the ones who sent it to Alec quite a while ago, and it wasn’t in the batch he gave them. Well, that is obviously something that CBS could have checked during the 4-5 weeks they had to review what he gave them. Again, if it were something the studios had a major issue with, then they should have mentioned it at least once in the filing. As for Alec not telling plaintiffs that he regularly deletes e-mail, I can’t speak to that. However, Alec is an individual and was acting as such during most of the time pre-lawsuit. He may have been running Ares Studios, but it wasn’t a large corporation with major reporting requirements and published company procedures documenting when and how often e-mails are to be deleted. As such, I’m not sure Alec could say for certain how many e-mails might not be available. But as I said, I’m now flying solo, and I’m not the one with the law degree. As for Terry, we actually won’t know what comes to light during his deposition on Friday because all contents revealed during discovery are non-disclosure by both parties. If you hear of anything specific being discussed, chances are someone has leaked something illegally. Hey guys. Don’t everybody get all worked yet, either way. It all still has to go in front of the system . The corporation could still play a rogue hand. Play a stall tactic or just drop it all just to wait a bit and play a different hand. You just never know what they are going to do. Patience is what we need the most of now. You’ll want to come back for part four. But–spoiler alert–remember that there is still a counterclaim by Axanar against the studios. CBS and Paramount can’t simply stall or drop the suit and quietly wait to pounce again. The counterclaim asks for declaratory relief. Previous Previous post: Breaking news!!! Magistrate Judge rules in AXANAR’s favor regarding discovery!